Sherlock Holmes versus zombies in foggy old London Town? That's enough to make us excited for next month's new comic Victorian Undead alone, but add in a mysterious meteor and we officially can't wait. Click through for an exclusive preview. 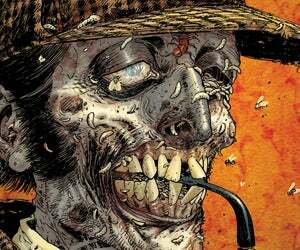 Victorian Undead hits comic stores on November 18th.